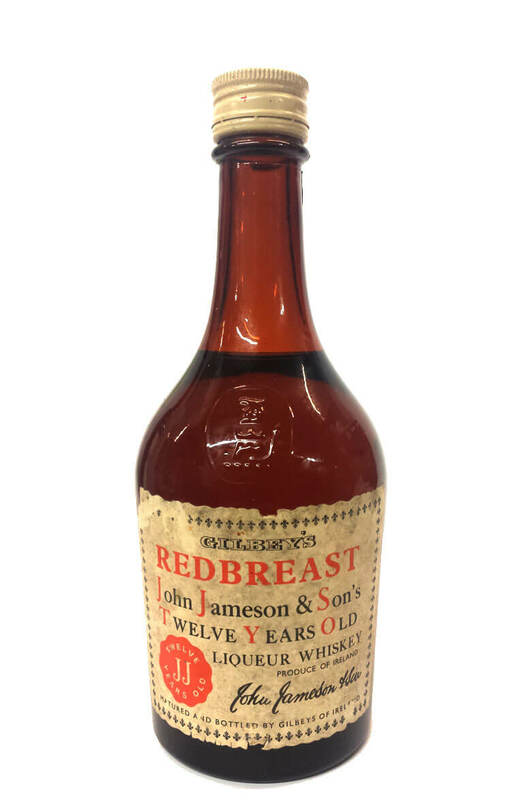 This is an old half bottle if Redbreast John Jameson 'Liqueur Whiskey'- a term used in those days to describe a whiskey of superior quality. Bottled by Gilbeys, this most likely dates from the 1960s and is good condition. There is a little wear and tear to the label, the fill level is above the shoulder and just below the neck of the bottle.